Separate chard leaves from the stems, chopping leaves and finely dicing stems. 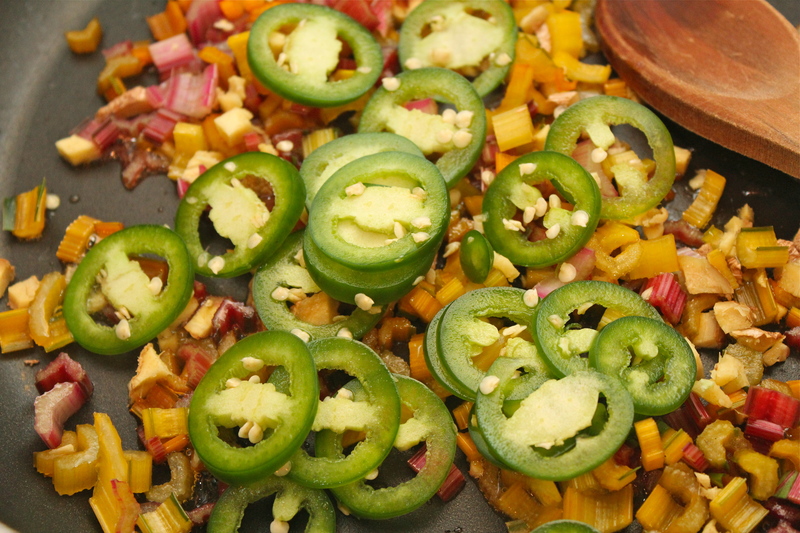 Mince ginger and finely slice the jalapeno. 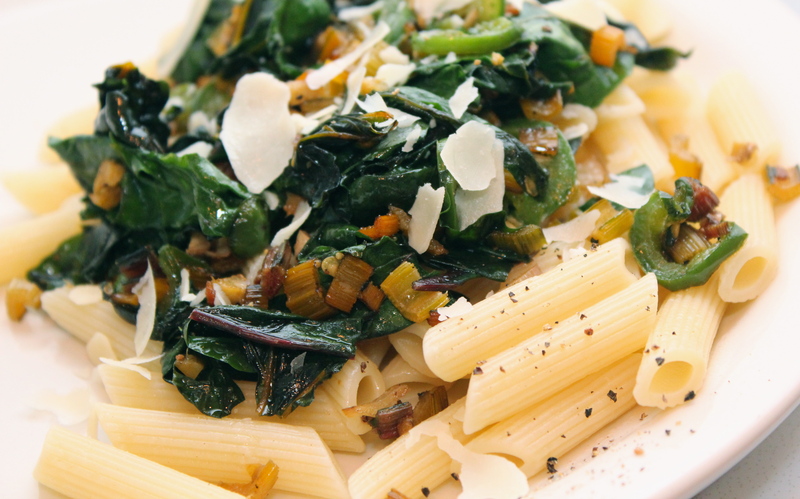 In a large pan, heat olive oil and add chard stems, ginger, and jalapeno and cook over medium heat until the chard stems are soft (3-5 minutes). Add salt and pepper to taste. Add chard leaves, cover, and cook until wilted (another 3-5 minutes). Uncover and cook an additional 3 to 5 minutes. Serve on pasta and sprinkle with freshly grated parmesan. Serves 2. Mmmmm,…a lovely spiced up chard dish.